Rear end collisions happen frequently on Georgia’s busy roadways, but is tailgating a common cause? Here’s how to avoid tailgating and what to do if you or a loved one were involved in an accident caused by someone who was following your car too closely. The general rule when following a car is to leave one car length between you and the other car for every 10 mph you are driving. So if you are driving 50 mph, you would want to leave approximately 5 car lengths between you and the other car. This gives you enough room to maneuver for sudden stops and turns. However, many people do not abide by this and follow a car too closely. They may overestimate their skill and ability to stop quickly if need be, or they may be attempting to be aggressive toward the driver in front of them. Sometimes, drivers will attempt to save gas by following a semi truck closely so their car is pulled by the draft created by the truck. No matter why a car is following too closely, this is how accidents happen. Under Title 40, Chapter 6, Article 3 of the Georgia Code, drivers must not “follow another vehicle more closely than is reasonable and prudent, having due regard for the speed of such vehicles and the traffic upon and the condition of the highway.” If a driver follows too closely and causes an accident as a result, he or she could be given a ticket for a moving violation, in addition to being held financially responsible for the collision. If someone is tailgating you, don’t slow down in an attempt to anger them. Instead, simply pull over to the side of the road and let them pass you in order to avoid an accident. Were You Involved in a Tailgating Accident? If you were hurt in an accident caused by someone tailgating you, it may be possible to obtain financial compensation for damage to your vehicle and any injuries and lost wages you incurred as a result of the accident. 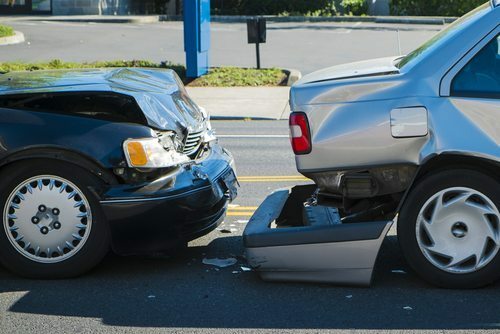 Contact Appalachian Injury Law today to learn more about tailgating accidents and what your next step should be if you or a loved one were hurt in this type of crash. Call now at (706) 515-1995 or (800) 393-8595 for a consultation.